COLONIE — Shirley Irene Stewart of Colonie died Jan. 31, 2019, in the Albany County Nursing Home after a prolonged illness. She was 79 years old. Born in Corinth on July 5, 1939, she was the daughter of John and Lena McKelligott. She was a graduate of Corinth High School and moved to Albany to spend her entire working career in the banking industry. Her post-high school education included several courses through the American Institute of Banking and some college courses. At the time of her death, she was a relationship banker and bank officer at the M & T Bank on Wolf Road in Colonie. She had been on medical leave for two months. She is survived by her loving husband of 49 years and two months, R. Victor Stewart Sr.; and a son, Richard V. Stewart Jr. (Amy), of Springfield, Illinois; along with four wonderful grandchildren. She is also survived her sister, Ann Wise of Wappingers Falls, and two brothers, Michael of Corinth and William of Santa Cruze, Bolivia, South America; as well as several nieces, nephews, grandnieces and grandnephews. Shirley was very active in several community organizations. She was a long-time leader in the Boy Scouts of America Twin Rivers Council. She had been a den leader, a Cub Scout Committee member, a Cub Scout leader trainer, a merit badge counselor, unit commissioner and a district commissioner. She was awarded the District Award of Merit and Silver Beaver Award. She also earned her Woodbadge Certificate. The Methodist Church honored her with a special medal for her service to the Boy Scouts. She was a member of the Ladies of the Oriental Shrine of North America and was the high priestess of Marvia Court. In that capacity, she helped raise money for the Shriners Hospital in Springfield, Massachusetts. 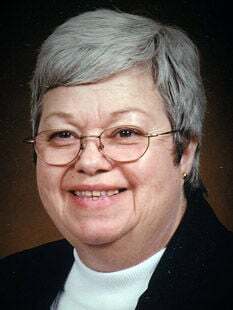 The mission she considered most important was her service to the Pine Grove United Methodist Church where she had served as church treasurer, chair of the trustees and mission committee chair. In that last role, she collected hundreds of pounds of food for local food banks, Christmas meals and Thanksgiving dinners, and toys for kids at Christmas. A memorial service will be held at 2 p.m. Saturday, Feb. 16, at the Pine Grove United Methodist Church, 1580 Central Ave., Colonie. In lieu of flowers, contributions should be made to the Shriners Hospital in Springfield; the campership fund of the Twin Rivers Council Boy Scouts of America; or the Pine Grove Memorials Fund. The family wishes to thank all the people who have expressed their support during our time of grief. To leave a special message online please visit www.NewComerAlbany.com.